This dish is fantastic!!! 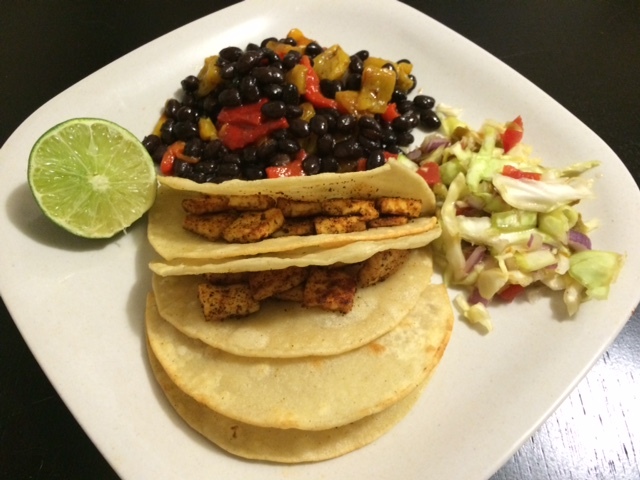 I had Tofu Tacos at Wahoo’s Tacos once and had to recreate it. 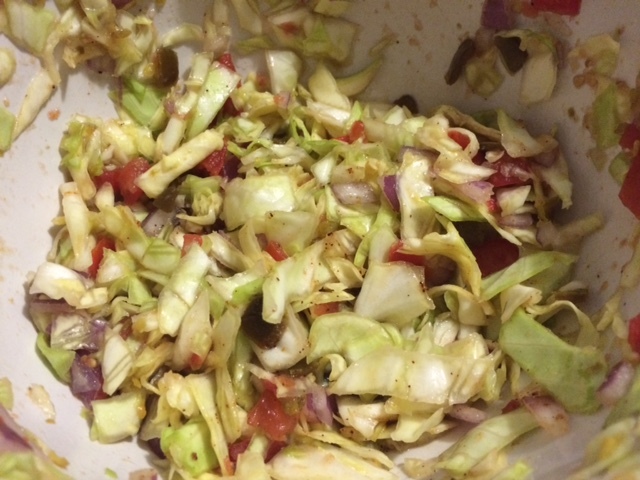 I’ve also been served this great cabbage salsa at restaurants and wanted to find out what was in it. It is soooooo good (especially if you are a cabbage fan!). The salsa was great on these tacos but is also great with chips. It would really be a great component of any mexican dish. You could also really top your tofu taco with any combination of veggies; olives, lettuce, tomato, avocado. The other great part of this meal is that it is super simple and full of flavor. 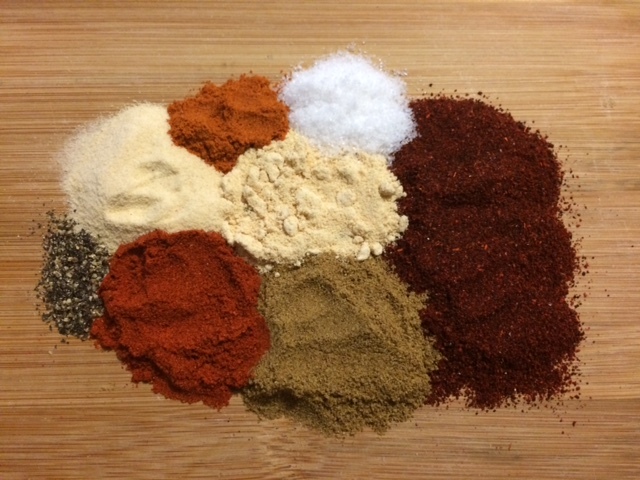 Mix all the ingredients together and use however you’d like. 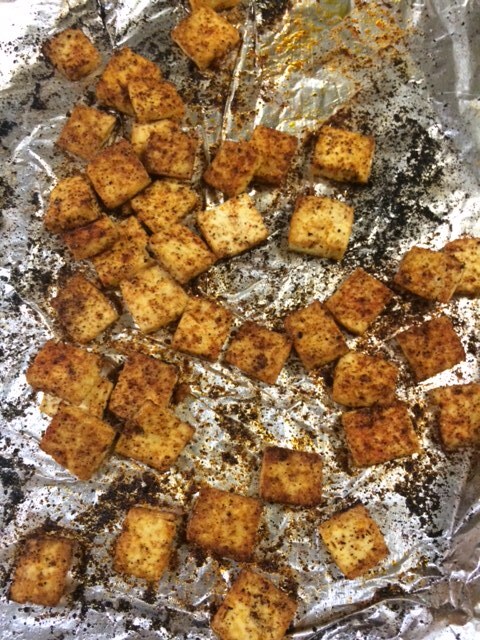 I then cut the tofu into cubes (half a package), you could really make these cubes any size you desire (I like thin cubes, like pictured above). 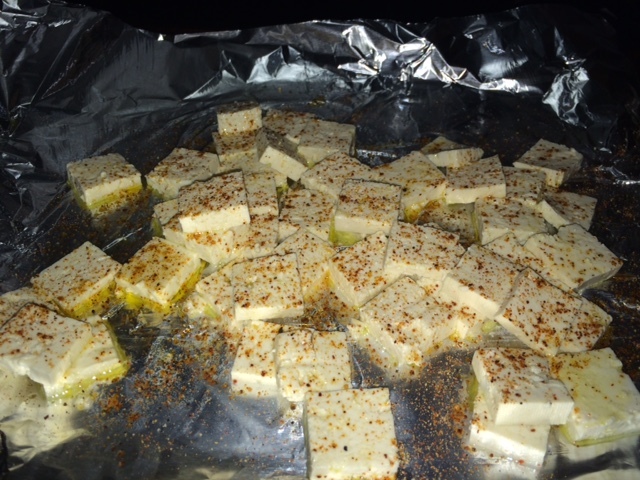 I placed them on aluminum foil, coated them with about a tablespoon of olive oil and sprinkled them with the taco seasonings. I used about 1 – 2 tablespoons of the seasoning. You may want more or less for your taste. Then I broiled the tofu for 10 minutes (this is the key to delicious tofu, broil it), you may need longer depending on the crispiness you desire. Just be sure not to overdo the tofu and dry it out. Flip the tofu at least once for even cooking. Toss veggies and herbs, lime juice and toss again. Add seasonings, careful to taste and not over salt. Let stand 10 mins and enjoy! This recipe also turns out great when you half it, store leftovers in a glass jar. 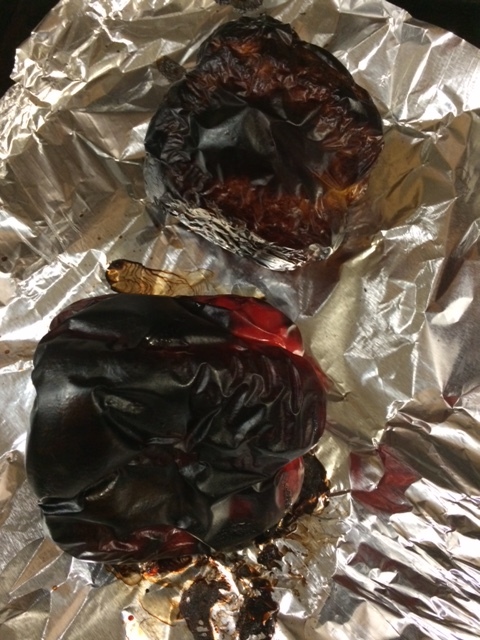 Finally as a side, I made a quick black bean salad with roasted peppers (pictured in the first picture). Mix all ingredients together. This can be served warm or cold and is great as leftovers the next day. This entry was tagged healthy eating, healthy foods, healthy recipes, Plant based, plant based recipes, recipes, tacos, tofu, vegan, vegan recipes. Bookmark the permalink.